Word-perfect rendition proves hit on social media. Young Liverpool fan flew From Hong Kong for Liverpool vs. PSG. ESPN’s build-up to Liverpool’s 4-3 Champions League win over PSG featured this young fan from Hong Kong singing “You’ll Never Walk Alone” for the camera. 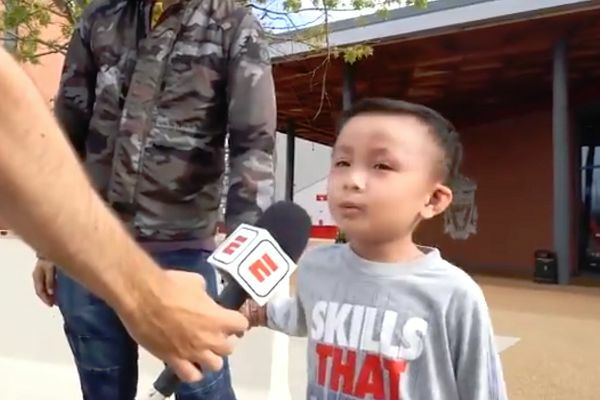 The boy, who had flown over for the game, performed a word-perfect rendition from outside the Anfield club shop that proved to be a hit on social media. He flew all the way from Hong Kong to watch Liverpool vs. PSG.